Some warm up sketches from the weekend, heavily based on Miss Hannigan from the musical 'Annie' (1982). Such an iconic movie character, really love how truly crazy she is. Naaah. There are still a couple people in blogspot. 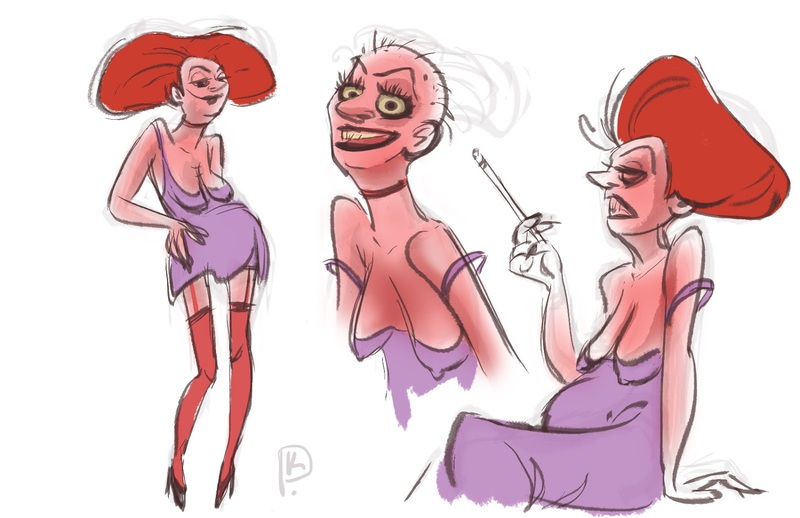 Btw, for some odd reason, when i saw the thumbnail in the feed i though "Man jessica rabbit really let herself go." Sketchbook doodling from the Inktober days!